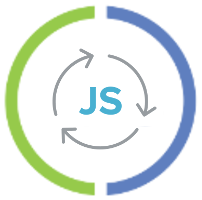 test.check is a Clojure property-based testing tool inspired by QuickCheck from Haskell. hold true for all inputs. This lets you write concise, powerful tests. In a sense it gives you the illusion that you deal with the infinity. applying it once: (= (sort a) (sort (sort a))). In prose, this test reads: for all vectors of integers, v, sorting v is equal to sorting v twice. This test claims that the first element of a sorted vector should be less-than the last. Of course, this isn't true: the test fails with input , which gets shrunk down to , as seen in the output above. But what if you want to re-run exactly the same values? As your test functions require more sophisticated input, shrinking becomes critical to being able to understand exactly why a random test failed. We see that the test failed on a rather large vector, as seen in the :fail key. But then test.check was able to shrink the input down to , as seen in the keys [:shrunk :smallest]. (zipmap keys vals) allows you to creates a map with the keys mapped to the corresponding vals. (keys map) retrieves the keys of a map. (vals map) retrieves the values of a map. But how well do they combine together? You can try to increase the value of n - and it will remain true. But is it a proof? What about keys and values from other types? (gen/map map key-gen val-gen) creates a generator that generates maps, with keys chosen from key-gen and values chosen from val-gen. It seems that the docstrings were right: zipmap, keys and vals are consistent. Check test.check documentation for additional functions and explanations. Please forward it to your friends if you liked it and share your critics on twitter @viebel or on slack #klipse channel.